I recently had a chance to attend and moderate a panel discussion at the “4th Annual Social Media Conference for PR, Marketing and Communications,” organized by Ragan Communications and hosted by Disney Parks at The Yacht Club Resort & Conference Center at Walt Disney World (I’ll refer to the conference by the #RaganDisney hashtag from this point on). For those of you who weren’t able to join us at Walt Disney World for the conference (or follow the live feed or trending hashtags from your desk), I thought I would do my best to re-create the panel discussion in blog form. I’ve captured each panelist’s response to the best of my ability below, assigning each response a number (1-30), and attributing the response to each panelist. I hope you enjoy reading through the responses and hope you can join us for a future #RaganDisney conference. There you have it. 30 ideas in 30 minutes. Hopefully it didn’t take you 30 minutes to read this post, but I hope you picked up a few helpful tips along the way. Feel free to reach out to the panelists via social (I included their Twitter handles at the beginning of this post). You can also search some of the conversations that took place around the event using #RaganDisney and #30in30. As a final note, as an regular attendee of all sorts of marketing conferences, I am always impressed by the quality of Ragan Communications events and strongly recommend you consider attending one of their future conferences if you haven’t before. 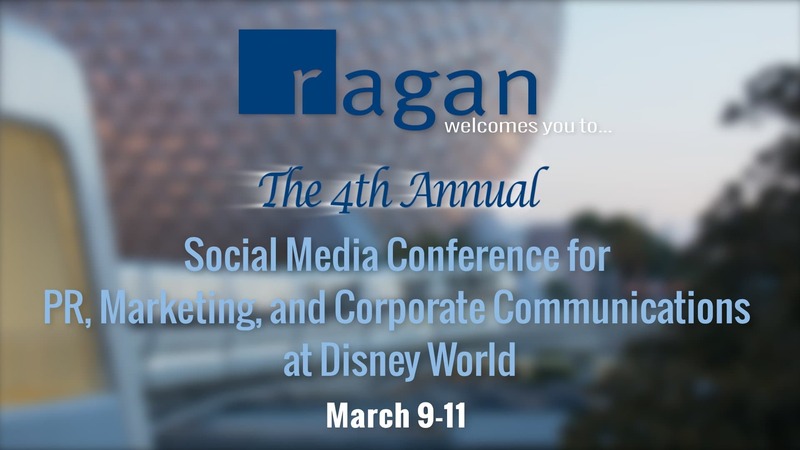 I’ve attended three of the four Ragan Disney events in the past, and I certainly recommend you consider attending the “5th Annual Ragan Communications Social Media for PR, Marketing and Communications” event if it’s added to the schedule again for 2017. I really like this post, I think it had a lot of great points, and was very interesting. I especially like the point in #28, that the content that you put out should be in terms of what is the value of this for the person who is reading it. That is a great way to get more attention on your post, and company. I wonder what the next major social media platform will be, and how long Snapchat will stay this popular? Social media is becoming more and more important in today’s society. These tips are really helpful on how to think out your social media results before you post anything. The topics of the panel – Global, Local and Hyper-Local, Crisis Communications, Content Storytelling, Social Platforms, Social Listening, and Grab Bag – are all important aspects of public relations. Currently, I am enrolled in a media relations class, so the crisis communications portion stuck out to me the most. It’s interesting that we have practiced techniques similar to this in my class, including figuring out to handle various scenarios, only allowing certain people to respond to a crisis to the public, and focusing on protecting your brand. I also like that the “grab bag” section included multiple tips about the importance of customers, from asking their opinions to using content customers have created. One use of social media is to help you calm down senior leadership. I recommend all social media managers create a baseline to clearly demonstrate what ‘normal’ looks like and to define the thresholds that need to be met before you step in as the brand – whether it’s a crisis or any other conversation.